a modern interior and a relaxed atmosphere. your face…and then you just let the aromas and sounds take you away! I WILL NOT RECOMMEND THIS RESTAURANT TO ANYONE . Unfortunately i have to put a star to have this feedback submitted but it is worth NONE AT ALL. as we had a booking for 6 on the 17th of February ref : BXVTQTC and you were closed for refurbishment , that i wasn't aware of it, i have send an email and still waiting a concrete answer. Always lives up to our high expectations. The restaurant was very cold, some customers wearing coats and scarves. We did inform the staff who took note but nothing changed. This was caused in part by the door being left open for the take away drivers to come and go. The take away buisiness was sadly the centre of the attention for the restaurant, it even took over the main table in the centre of the room. Staff spent time frantically packing plastic bags in full view whilst shouting order numbers to each other. The food was fine, but in this atmosphere it did not feel like fine dining. We Order Dessert we Never Receive it. The food was okay, but took too long to come out. The service was atrocious - couldn’t get anyone to come to the table to sort out issues with the orders, charged me for things I didn’t order on the bill. Overall the service was rubbish - definitely not visiting again. We had a lovely welcome. A super evening with friends. The appetizers were excellent. Very relaxing atmosphere and excellent food. The owner/manager was keeping a close eye on proceedings and this ensured a high standard of efficient service. He was very helpful in guiding us through the menu. The food is great but the service needs to really be improved. 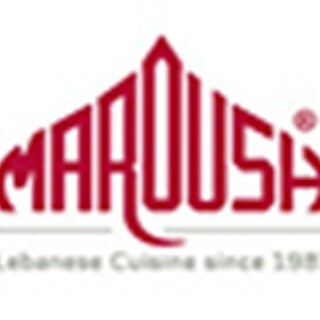 I have eaten at Maroush several times and it is always excellent in all aspects. Whenever we travel to London, a meal at Maroush is always top of the list of things to do. I brought some friends, it was their first time, service was terrible. If you are short on staff, don't seat as many people. Sorry doesn't make up for such bad service. I was so embarrassed that I suggested going there. Food was delicious. Friendly and easygoing restaurant. Wonderful food and wines with terrific service and help through the menu . Very friendly staff, quick service, amazing tasting food. Thanks to all! Unfriendly welcome, we had booked, offered poor table even though booths were free. It was cold and miserable. We left and found somewhere else. Service and food was great! We have been going to maroush for the last 4 years and the food is always good!